Guacamole is a favorite in my house. We have taco night almost weekly and avocado dip is a must. 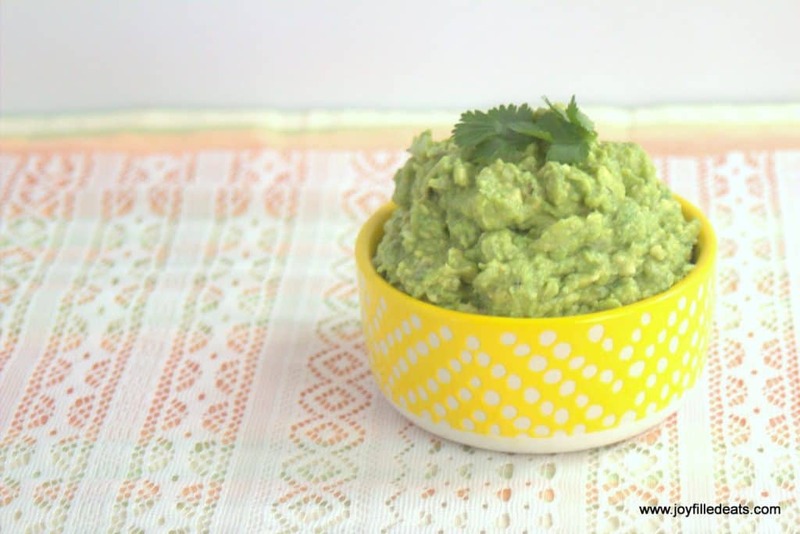 I make a super quick five minute guacamole for those easy dinner nights. 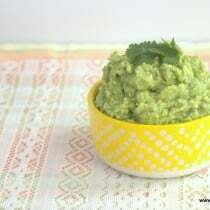 I hesitated posting this because how many of my readers really need a guacamole recipe? Probably not too many. 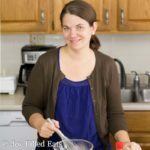 But when I was a beginner cook I needed recipes for just about everything. So for anyone who has never made guacamole before or is just looking for a new recipe, here ya go. And I just love that little yellow bowl. It is so happy and cheery. This is low carb, grain/gluten/sugar free and a THM S.
Smush avocados with a potato masher. Stir in all the other ingredients. Enjoy! 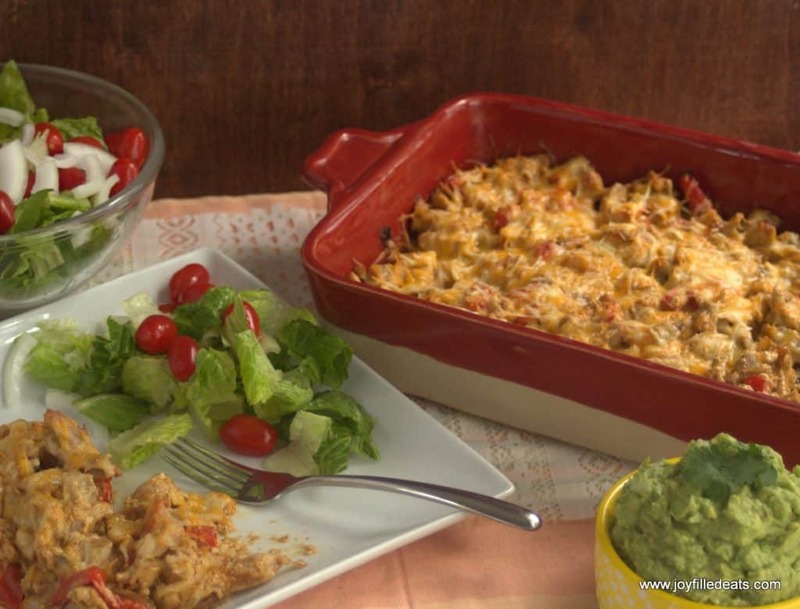 I also love it with my Chicken Fajita Casserole which is shown in the picture below. That one is a bit time consuming (you need to saute the onions and peppers and have pre-cooked chicken) but it tastes incredible. You can prep the whole meal a day or two in advance and just bake before serving.